Star Trees glow Saturday evening. 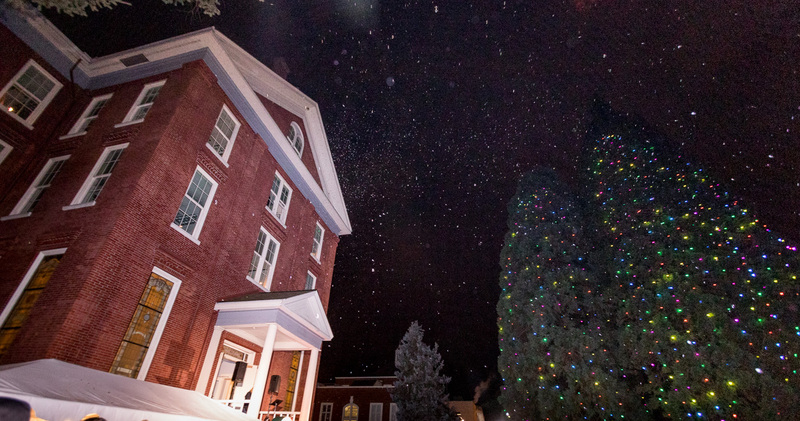 Manufactured snow falls from the sky during the Star Trees lighting ceremony. 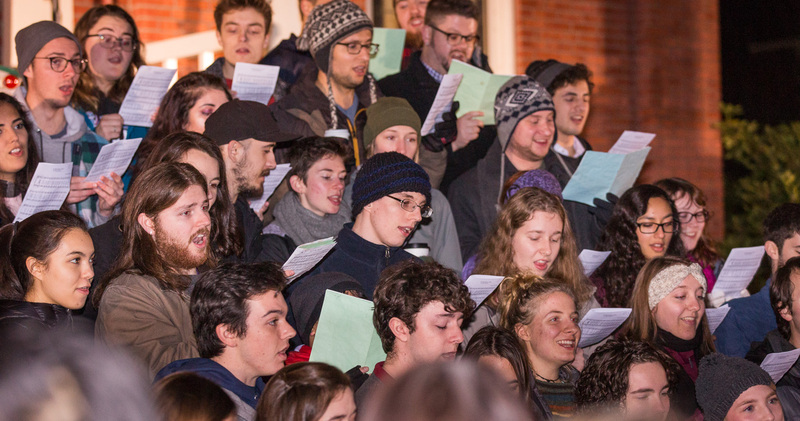 Willamette's Star Trees Choir sings carols. 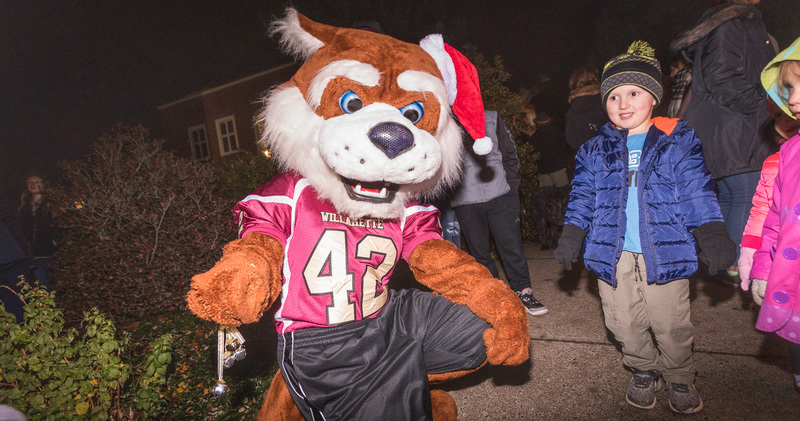 Blitz entertains 4-year-old Gavin Hanke. 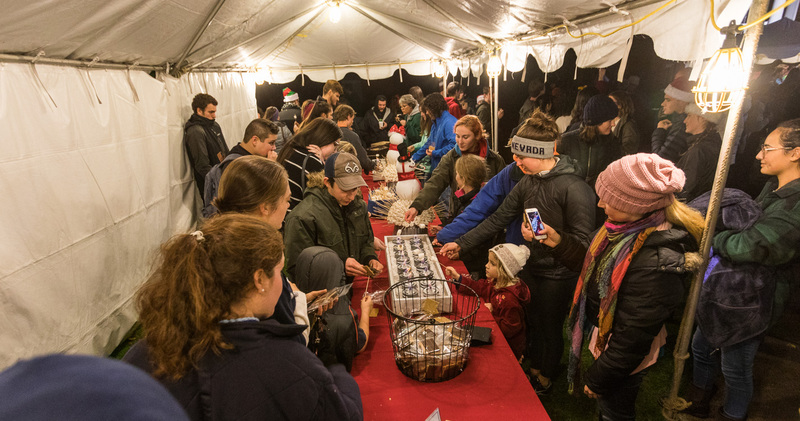 Guests line up for s'mores. 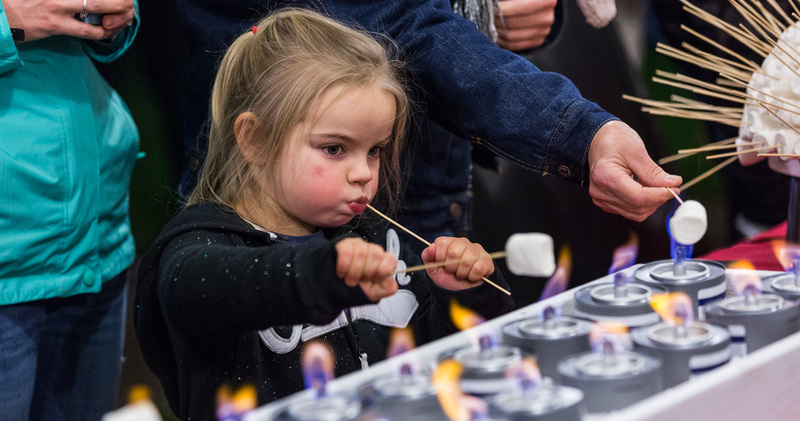 Everyone enjoyed treats at the holiday event, including Emma Maria White, 5. 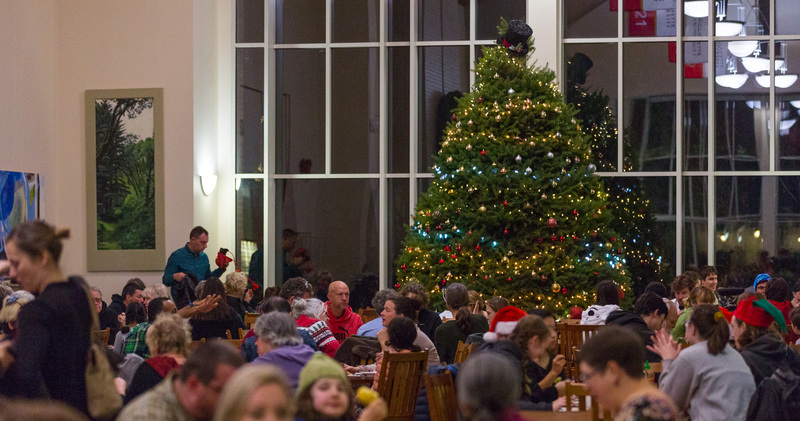 Goudy Commons offered a special holiday dinner to guests Saturday. 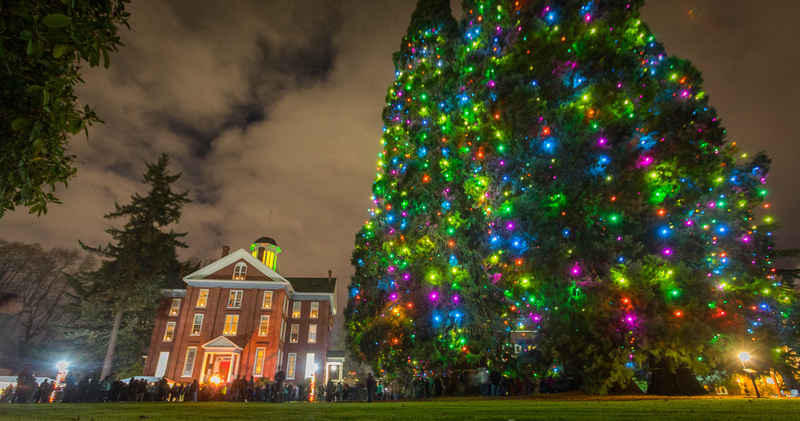 Hundreds of people surrounded Willamette’s grove of sequoias near the North Lawn Saturday to watch the trees light up, a beloved university tradition. 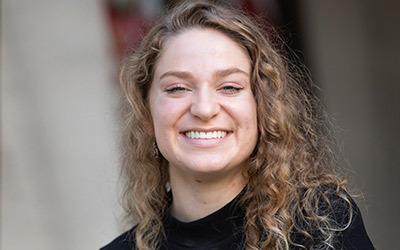 The ceremony is part of Willamette’s annual holiday event, which also includes roasting marshmallows, a special dinner at Goudy Commons and a family concert by university instrumental ensembles.